The Chicago Bears finished last season dead last in the NFC North at 5-11. The Bears looked absolutely horrendous in 2014 on both offense and defense. Jay Cutler actually had a successful statistical season at the quarterback position, even with the losing record. He threw for over 3,800 yards and had a 66% completion percentage. However, he tied Phillip Riivers for the most interceptions with 18. Cutler entered the league in 2006 with hopes to become the next great quarterback, but Cutler hasn’t come close to living up to that expectation. Cutler has only been to the playoffs one time in his career, which was in 2010 when he went 1-1. 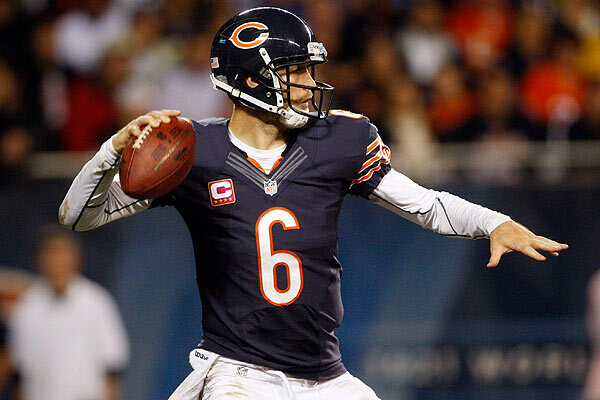 Cutler has had a losing season in Chicago three of his six seasons in Chicago. Chicago fans are used to winning because the Blackhawks have been in contention for the Stanley Cup for the past six or so years, the Bulls are used to winning multiple championships, and the Bears history has been all about winning. Cutler hasn’t been able to keep those high expectations. Cutler signed a huge contract in 2014 that totaled to be 7 years / $126 million. The Bears have invested in Cutler to show that he is their guy, but Cutler needs to actually produce. Cutler needs to lead the Bears to playoffs this year to get himself off of the hot seat. 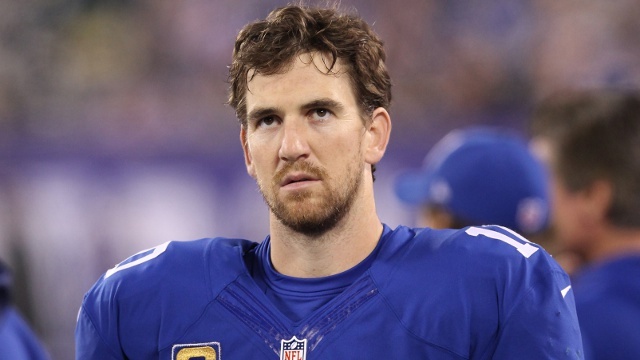 The New York Giants finished 2014 in third place in the NFC East at 6-10. The Giants hired offensive coordinator Ben McAdoo in the 2014 offseason, so there was a learning curve that was to be expected that would lead to some offensive struggles. There were some major struggles on offense at the beginning of 2014. Eli Manning just didn’t seem to click with his receivers, the Giants didn’t have a run game, and their defense wasn’t helping out at all. This led to one of the worst records through the first six games of the year. The tides turned when Odell Beckham Jr. returned from injury. Beckham absolutely exploded as one of the best receivers of 2014. He completely revived the Giants offense, while making highlight reel catches, and it led to them finishing out the last half of the season with a winning record. Manning is now all settled into his new offense, and he has weapons in Victor Cruz and Beckham Jr. The defense will be a liability, but, even with those receivers, New York fans are demanding. Manning is entering his 12th season in the NFL, so he doesn’t have that many years left in him. Fans are going to demand a winning team that competes for a championship. If Manning can’t come through this season, he will be put on the chopping block by the fans. The Dallas Cowboys finished a play away from advancing to the NFC Championship game. The Cowboys franchise have put that bad call behind them, and they have moved on to focus on 2015. 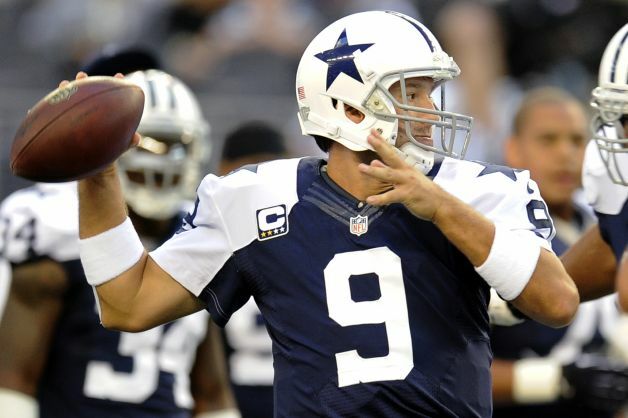 The Cowboys saw their franchise quarterback Tony Romo have a career year. Romo threw for 3,705 yards with 34 touchdowns and only nine interceptions. Romo had a career-high completion percentage of 69.9%, while also totaling his highest QBR in his career at 82.75. Romo had the season that Cowboys fans have been waiting for for a long time because Romo wasn’t trying to do too much. He had a solid run game that opened the field for him, and he had a defense that could stop the opponent to give him the ball more often. However, the Cowboys weren’t able to retain DeMarco Murray who headlined the best running game in football in 2014. This is sure to have an impact on Romo’s success in 2015. The Cowboys fans are feeling Super Bowl or bust this year because they have one of the best offensive lines in football, they have a franchise quarterback, and they have a defense that can stop any offense. The Cowboys fans are probably the most expecting fans in football, so I think that Romo is under major pressure, even after his career season in 2014. The Cincinnati Bengals have had success the past four years, since Dalton has been their guy. The Bengals finished 2014 with a record of 10-5-1, which was just enough to clinch yet another playoff spot. Dalton had a solid season at the quarterback position. He threw for 3,398 and had a 64.2% completion percentage, but Dalton threw 19 touchdowns and 17 interceptions. When you look at elite quarterbacks, their touchdown to interception ratio is minuscule, so Dalton most definitely needs to improve upon this. Dalton has lead the Bengals to four straight playoff appearances, which is difficult to do, but they all have ended in defeat. Dalton is 0-4 in the playoffs, which has created some controversy in Cincinnati with the fans. The fans want to see the team make it past the first round of the playoffs. 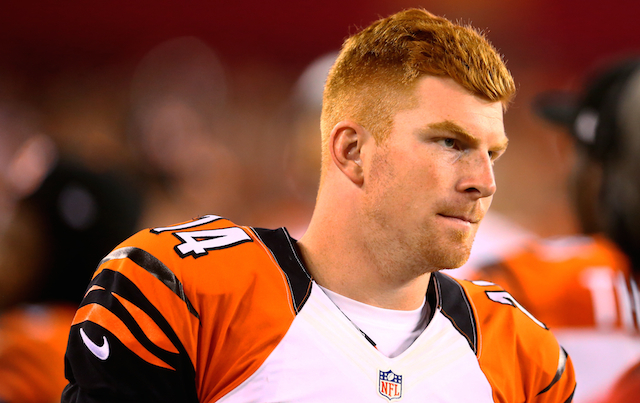 The Bengals silenced a majority of the criticism of Dalton by signing him to a six year / $115 million deal in 2o14. This shows that the Bengals are backing Dalton. Dalton needs to satisfy the fans by not only making it to the playoffs, but by actually winning a game or two. The regular season will be fairly relaxed among Bengals fans, but when the playoffs come around, everyone will scrutinize Dalton if he cannot win a playoff game. 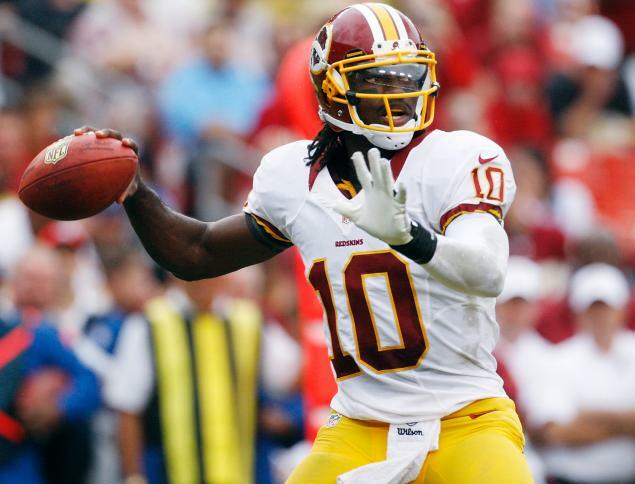 The Washington Redskins traded up in the 2012 draft to take their franchise quarterback Robert Griffin III, and they sacrificed a multitude of draft picks to get him. Griffin III was able to make it all worth it in his rookie season, as he lead the team to the playoffs. However, Griffin III injured his knee in the playoff game, which lead to ACL surgery. The Redskins had arguably been at fault for his injury because they didn’t keep him out of dangerous situations. Griffin III didn’t seem to be the same in 2013. He threw for a hair over 3,200 yards and had 16 touchdowns and 12 interceptions, which was a big step down from his rookie season success. In 2014, he only played in nine games, but he only started seven of those. Griffin was benched after he returned from another knee injury to Kirk Cousins. I have Griffin III as the quarterback under the most pressure in 2015 because the Redskins gave up a whole lot to draft him, and he hasn’t lived up to his price tag. If Griffin III doesn’t have a successful season in 2015, he could lose his job in Washington.